Calling all margarita lovers! Our list of 7 Flavorful Recipes for Fresh Margaritas on the Rocks is a tasty way to kick off your summer cocktail sipping season. Try one or – better yet – try them all! 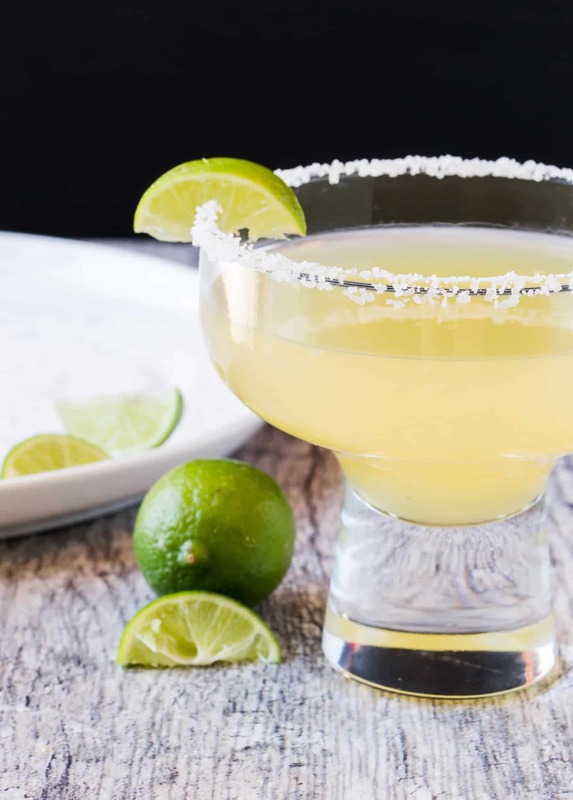 Although margaritas can always be enjoyed year-round (and we definitely follow that rule), many people see May as the kickoff to margarita season. 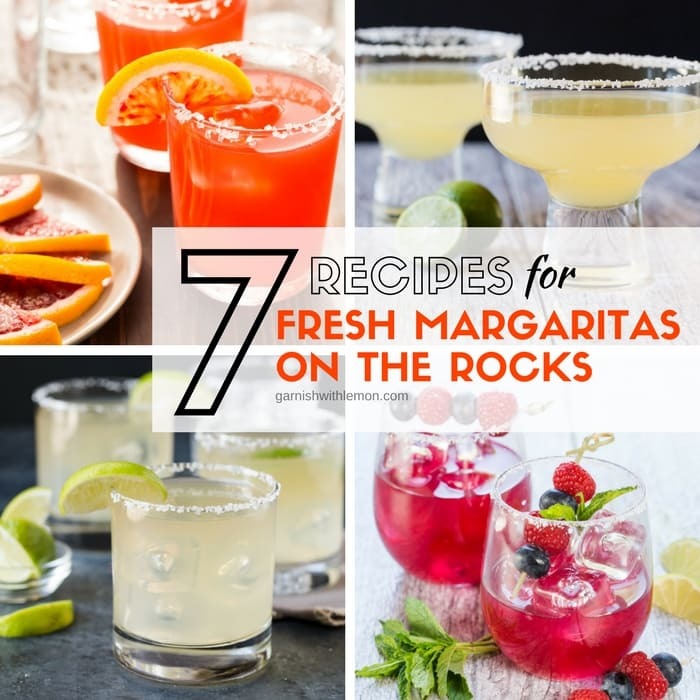 With warm summer weather and Cinco de Mayo just around the corner, we could think of no better way to honor one of our favorite cocktails than with a collection of 7 of our recipes for Fresh Margaritas on the Rocks. You’ll find no blenders and no bottled mixers here. Just the freshest, most flavorful ingredients for your summer sipper. Tip: All of these recipes can be easily scaled to make the number of drinks you need. We make pitchers of these fresh margaritas on the rocks to serve as big batch cocktails for our backyard BBQs. Looking for more batch-style cocktails? Check out our roundup of 5 Big Batch Cocktails – great for groups! 1. We kick off our fresh margaritas on the rocks collection with a Golden Margarita recipe that Lisa discovered on vacation in Mexico. It doesn’t get more authentic than that. This Golden Margarita is our official “house margarita” recipe and might quickly become yours, too. 2. 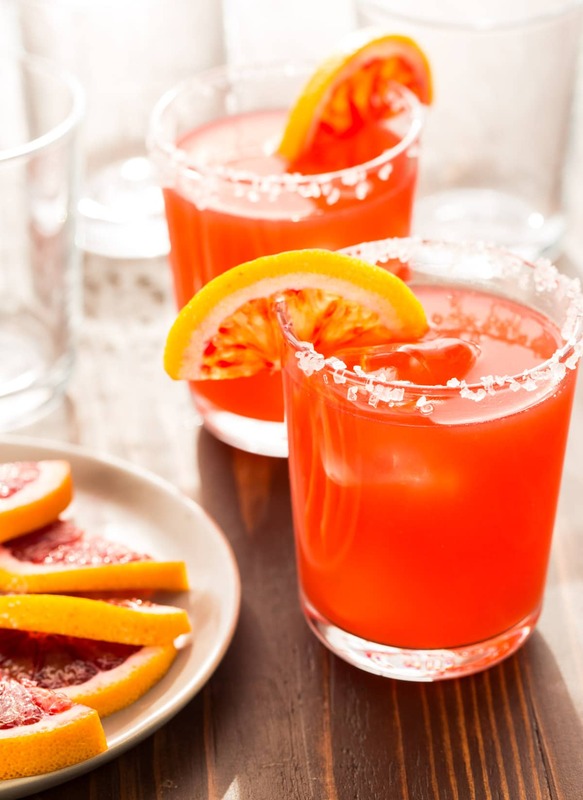 The gorgeous scarlet color of these Blood Orange Margaritas for a Crowd are irresistible. 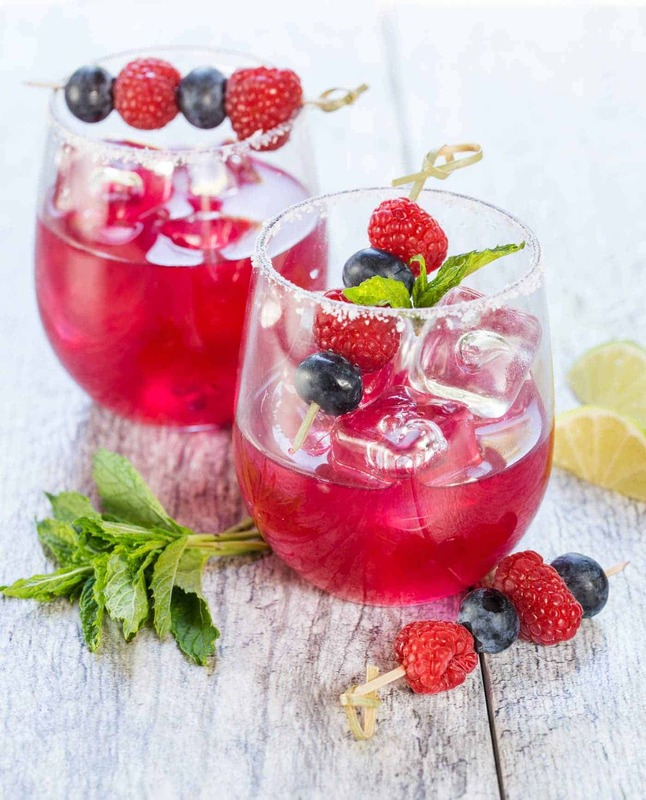 This citrus twist on a classic lime margarita has a just a hint of berry flavor and is a show-stopping option to serve your guests. 3. Need to please a group of beer drinkers, too? 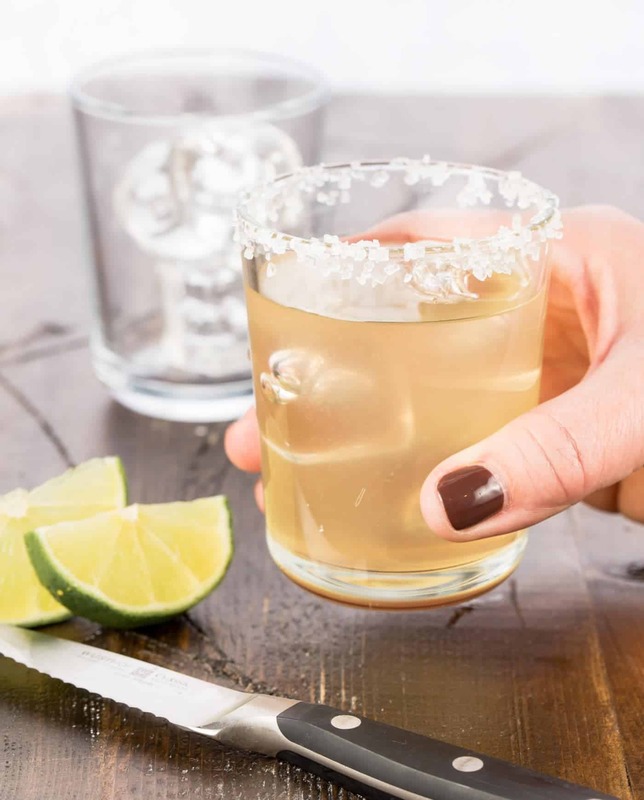 Give them a glass of these 3-ingredient Beer Margaritas and turn those suds-loving souls into margarita fans after just one sip. 4. 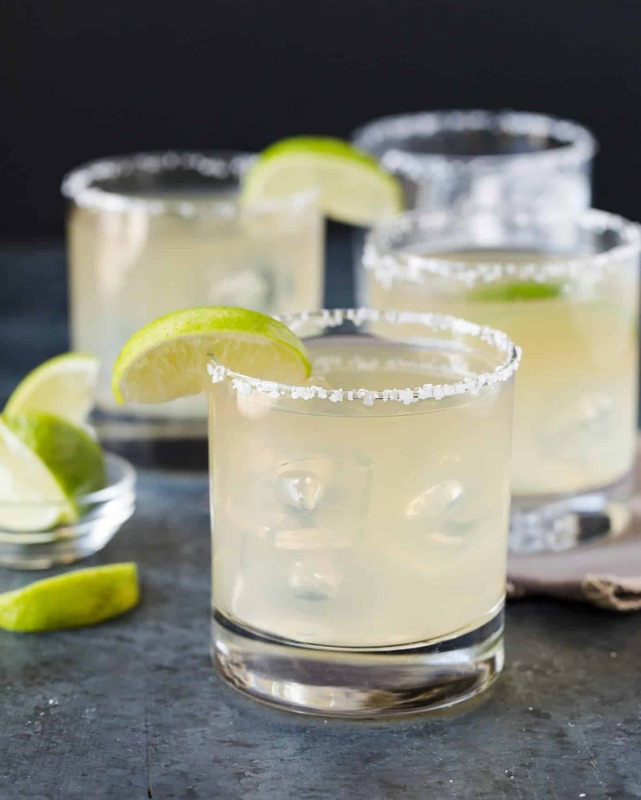 Although we love elderflower liqueur in many different cocktails (our Vodka and Elderflower Lemonade might just be our second favorite summer cocktail), we were skeptical of including it in a margarita. Silly us. 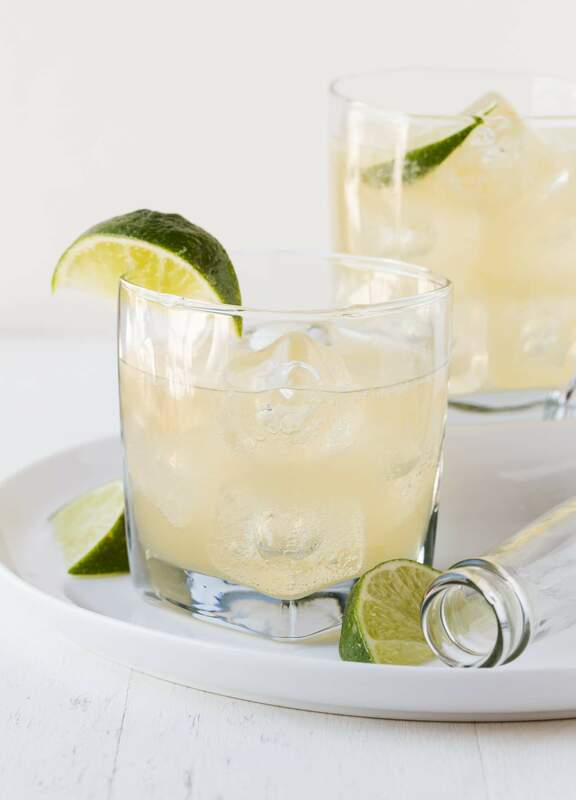 The slightly sweet and floral notes of the elderflower liqueur take the place of simple syrup in this recipe and are the perfect balance to the strongly flavored reposado tequila. The Elderflower Margarita is a must try. 5. Craving a little kick in your cocktail? This Texas Margarita is for you. 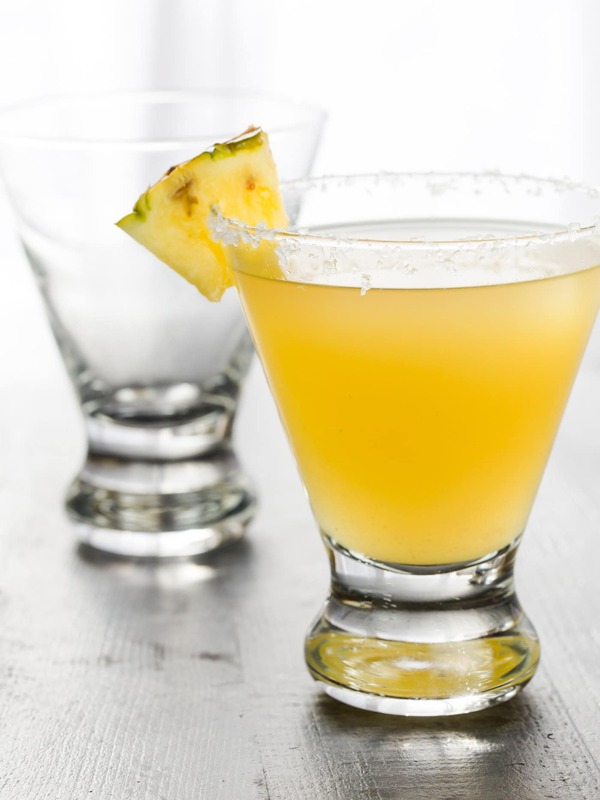 Pineapple juice and muddled jalapeño tickle your taste buds in this bold beverage – in a very good way. 6. These fuschia-hued beauties may look sickly sweet, but the truth is our Blueberry Margaritas are far from overbearing. Fresh mint keeps the flavors in these margaritas light and bright while the blueberries lend their own natural sweetness to the mix resulting in a well-balanced drink that goes down far too easily. 7. We know you guys are crazy about our Easy Key Lime Pie recipe, but we didn’t know how you would feel about adding that sweet-tart key lime flavor to a margarita. We shouldn’t have worried. Judging by your response, these 4-ingredient Key Lime Margaritas are tops on your cocktail list, too.